The Ace 2017 Spring Convention & Exhibits will feature the must-have merchandise and newest technology you need for the holidays. You’ll be festive and merry with all-new collections of hot-selling lights, trees and décor that customers can’t resist. Our new Hallmark Holiday Shop and year-round store-within-a-store Hallmark Gold Crown option, complete with a full range of cards and Ace exclusive ornaments and merchandise. Festive foliage that includes our new premium pre-lit tree with voice-activated lights, plus an expanded collection of Celebrations Platinum Superbright and catalog-inspired wreaths, as well as our new Naturals collection of unlit wreath, garland and entryway trees. A spooktacular selection of Halloween décor with new lighting options, upgraded projection options, high-end specialty lighting and an expanded assortment of inflatables. All-in-one themed indoor décor planograms that feature two brand-new designs — the vintage-inspired Home for the Holidays and the rustic, outdoorsy North Woods Lodge. Collections of fun décor from favorite licensed brands like Peanuts, Rudolph the Red-Nosed Reindeer, A Christmas Story, Coca-Cola®, Star Wars® and Ford®. The latest in LED and laser projection technology, including a video scene projector, preloaded with musically animated holiday scenes and an option to add your own content. 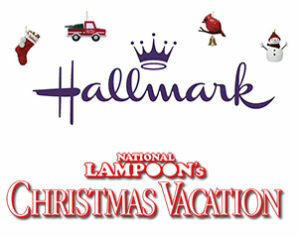 National Lampoon’s Christmas Vacation themed lights and décor — an Ace exclusive. Approximately 70 percent of consumers decorate their homes for the holidays, spending an average of $80 on new decorations each year. This is something you can’t afford to sit out on. Even after markdowns, this category still delivers a gross margin of 34 percent in just six to eight weeks of selling season. Stop by our Christmas store (Booth #3133) at the convention and give your business the gift of spectacular sales for the upcoming holiday season! Don’t delay, register now! The deadline to get badges and event tickets in the mail is February 10.